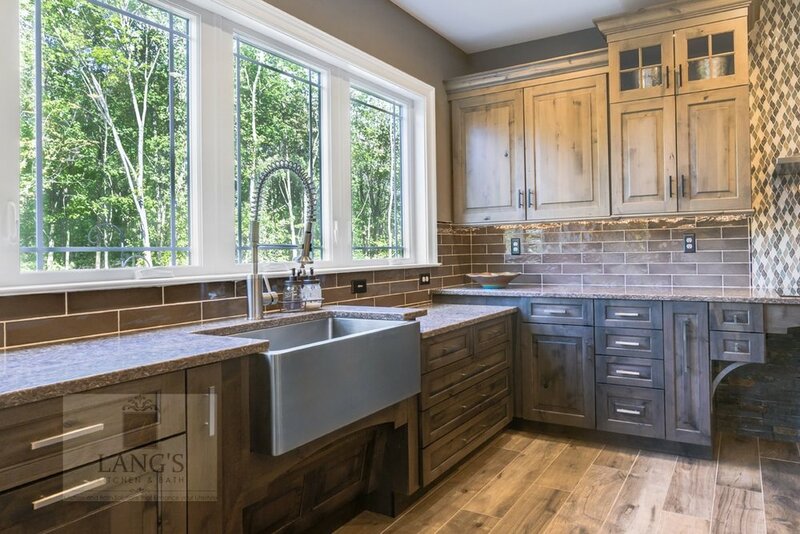 This rustic style kitchen design was created as part of a new home build to be fully wheelchair accessible for an avid home chef. 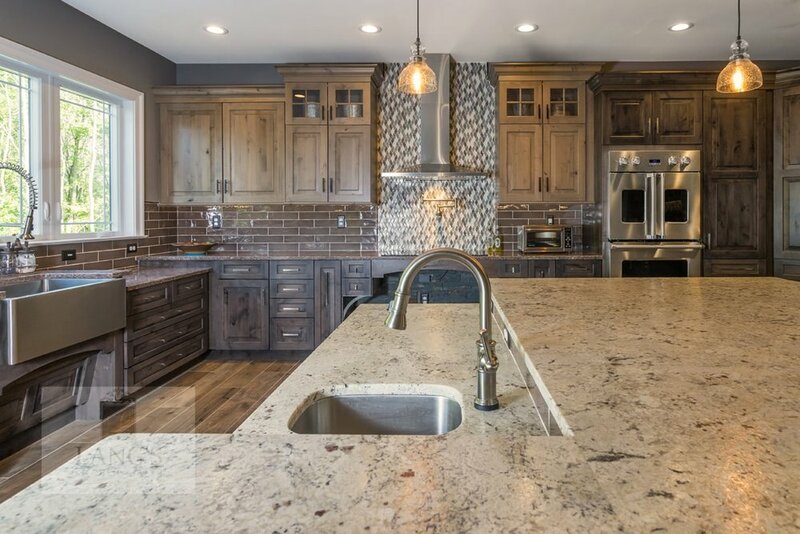 This amazing design includes state of the art appliances, distressed kitchen cabinets in two stain colors, and ample storage. 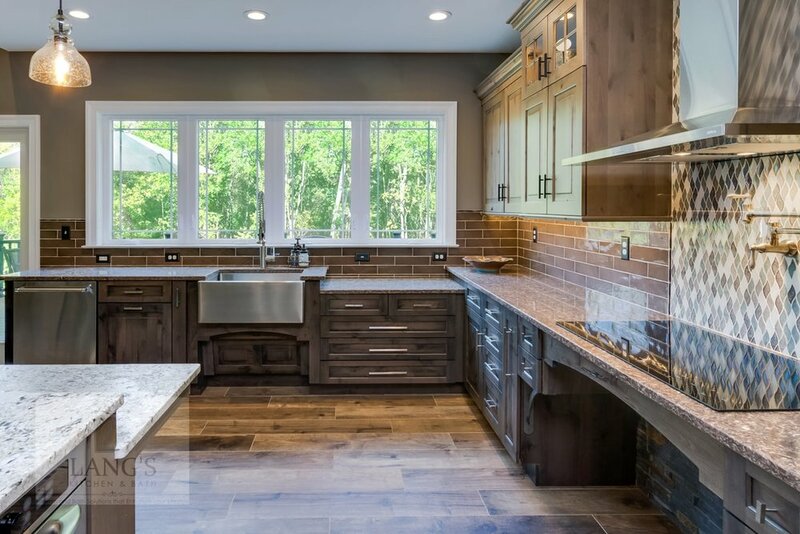 This rustic style kitchen design was created as part of a new home build to be fully wheelchair accessible for an avid home chef. 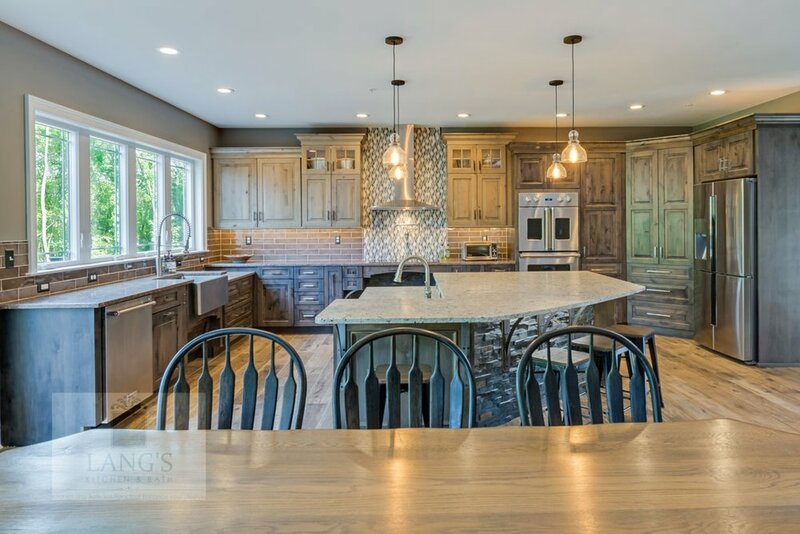 This amazing design includes state of the art appliances, distressed kitchen cabinets in two stain colors, and ample storage including an angled corner pantry. The range and sinks are all specially designed to be wheelchair accessible, and the farmhouse sink also features a pull down faucet. 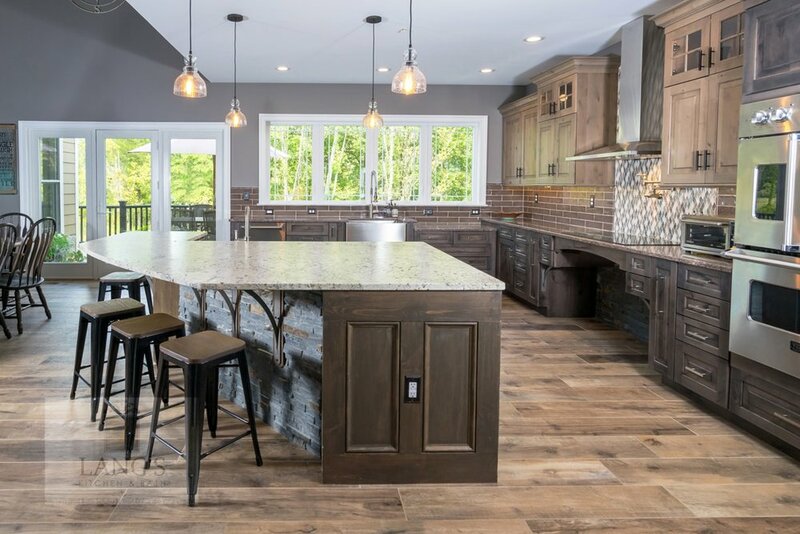 The island is accented with a stone veneer and includes ample seating. A beverage bar with an undercounter wine refrigerator and the open plan design make this perfect place to entertain.